Gordon, et al. 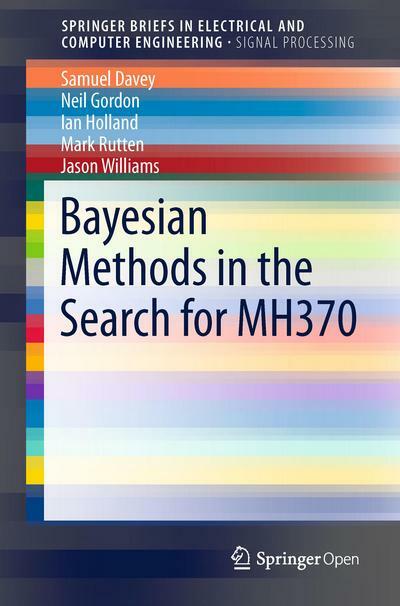 wrote:This book demonstrates how nonlinear/non-Gaussian Bayesian time series estimation methods were used to produce a probability distribution of potential MH370 flight paths. It provides details of how the probabilistic models of aircraft flight dynamics, satellite communication system measurements, environmental effects and radar data were constructed and calibrated. The probability distribution was used to define the search zone in the southern Indian Ocean.